So take a look at some of our all-time favorites. Caution: you just may want to grab a sandwich yourself, because these are going to make you hungry. Trust us. 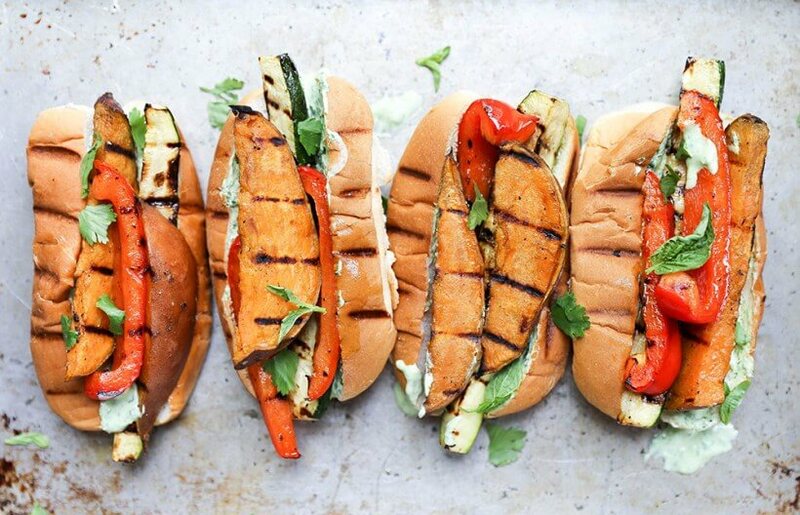 Grilled Sweet Potato and Vegetable Sandwich: This time of year is all about grilling, so that’s why we love Oh My Veggies’ veggie sandwich with sweet potato wedges. It’ll put you right into sandwich nirvana. 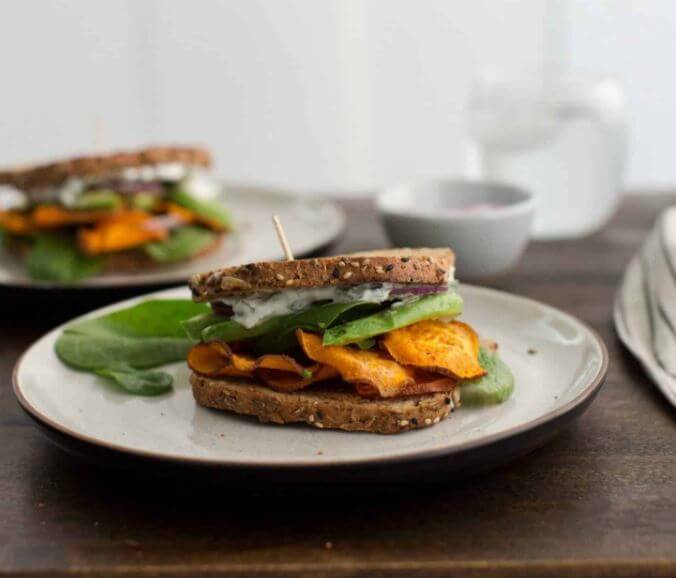 Chili Roasted Sweet Potato Sandwich: Our sweet taters are certainly the star in Naturally Ella’s delicious lunchtime favorite. And if you’re looking to keep this sandwich vegan, just swap hummus for the yogurt and enjoy! 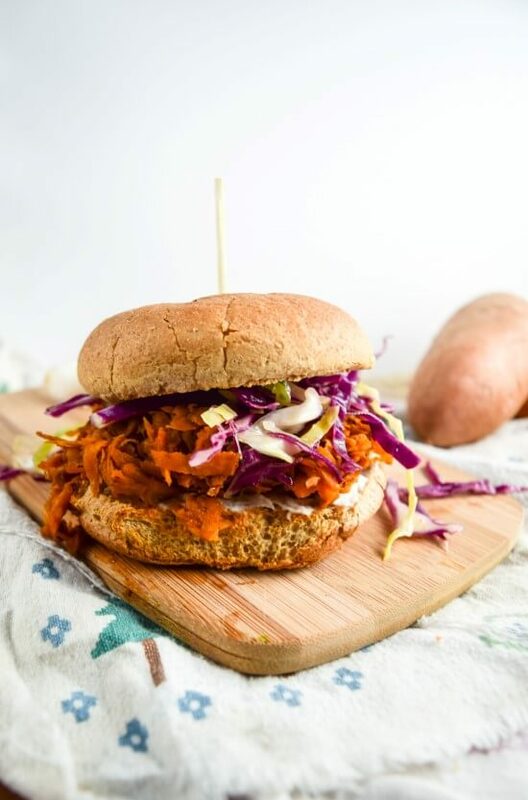 BBQ Pulled Pork Sweet Potato Sandwich: Now here in North Carolina we are all about some BBQ, but we love our sweet potatoes too so this Yup it’s Vegan recipe combines them both with a sandwich both vegetarians and meat eaters can enjoy. It may sound crazy, but we promise it’ll be the hit of your next backyard summer party. 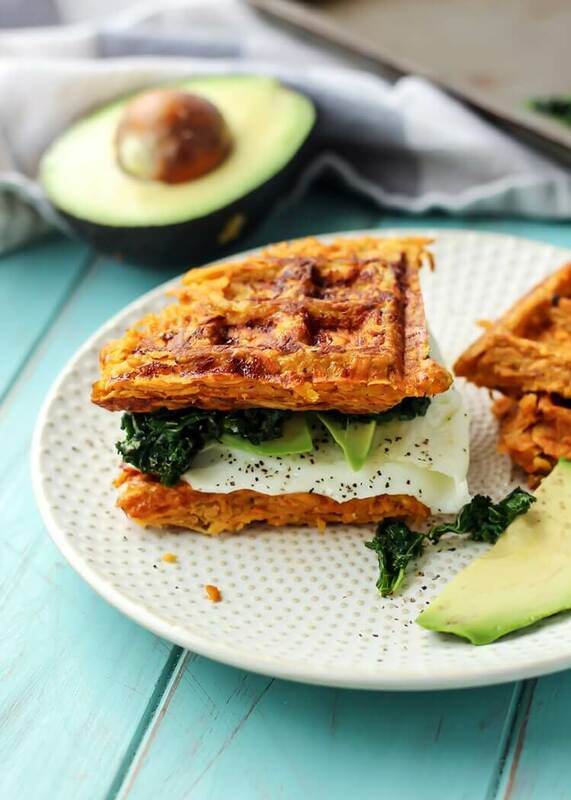 Sweet Potato Waffle Breakfast Sandwich: And last, but not least – the breakfast sandwich. And take a look at this mouthwatering one from Fit Mitten Kitchen. You’ve seen sweet potato toast but this waffle-pressed sweet tater “bread” takes it to the next level, y’all. Did we mention it’s also Whole30 approved? There you have it, folks! Hope you try adding some healthy sweet taters to your next sandwich and if you do, show us by tagging us @sweet_taters on Instagram.